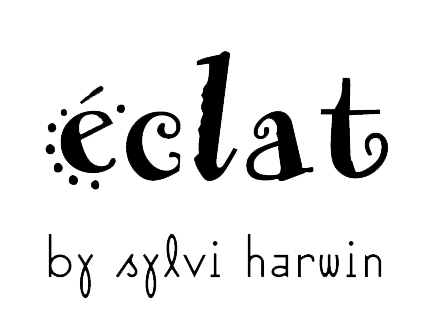 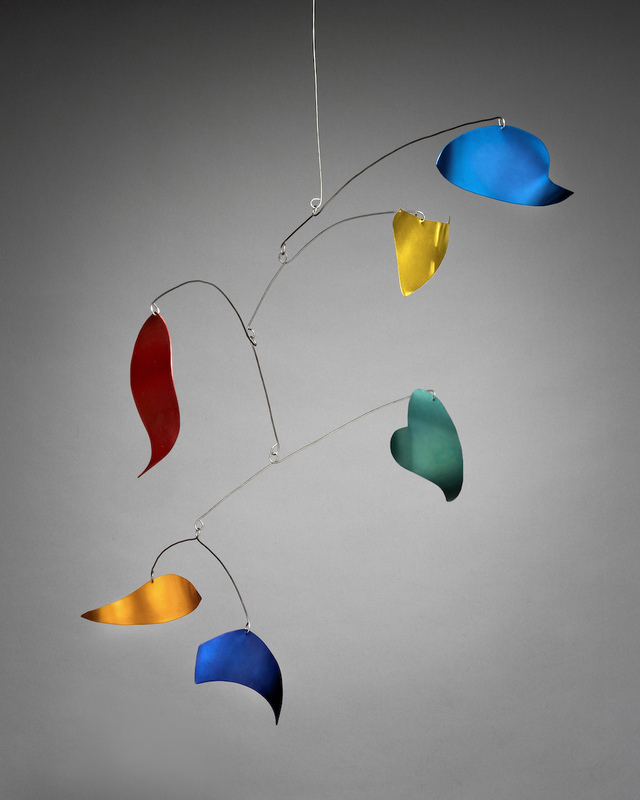 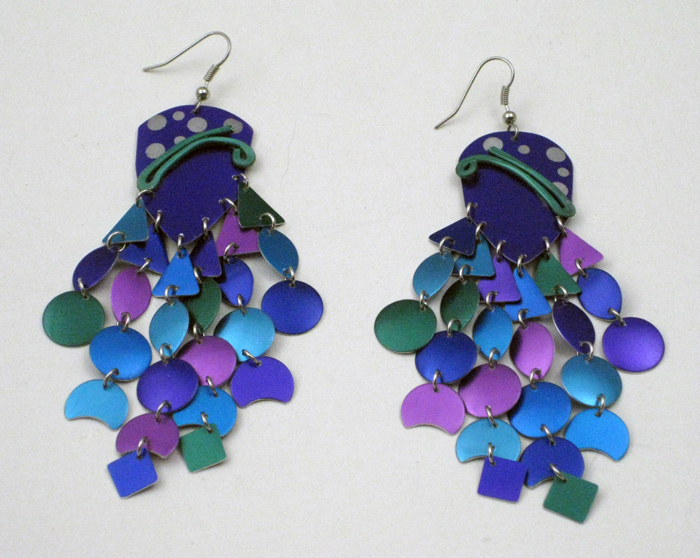 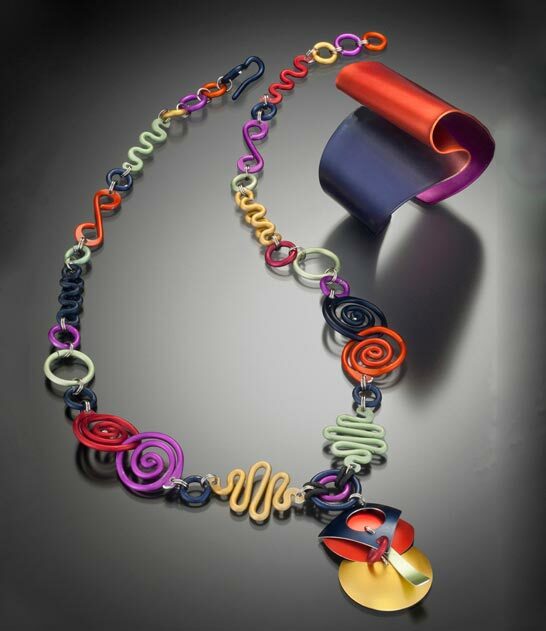 Since 1981, Sylvi Harwin has anodized and handcrafted an ever-changing line of colorful, whimsical aluminum jewelry, accessories, mobiles and convertible mobiles and tableware. 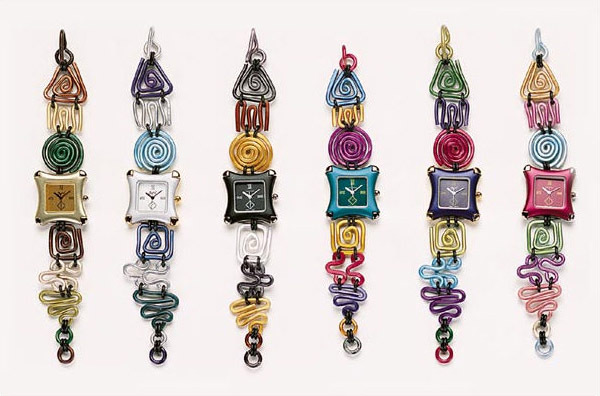 Her work is represented in museum shops and galleries nationwide, and abroad. 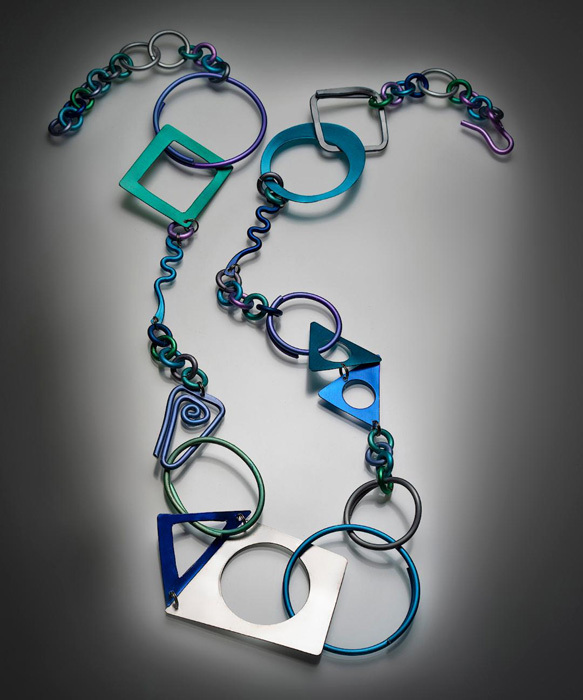 She specializes in asymmetric jewelry for the fun at heart!